Let us imagine this as our destination for public higher education in Oregon. Imagine student needs at the center. Imagine professors, advisers, and student support professionals leading our universities, working with students to set the priorities of the university. Imagine public higher education without the chronic distraction of chasing tuition dollars and external funds, without the deafening distraction of ever searching for something new to market to students. Imagine higher education as a right, not a privilege—debt-free higher education. Nationally and in Oregon we see signs of a reawakening to a vision of higher education that is student-centered, debt-free, and led by educators responding, first and foremost, to educational priorities. We see signs of this reawakening in the 2015 Oregon legislative session. To reduce administrative services costs, wherever possible, through an Oregon consortium of shared services for our public universities. AAUP-Oregon has spoken out on all of these issues. Read the testimony here. Academic support staff, professors, students, and elected officials now need to reach out to the newest members of our universities—the citizens serving on our new institutional boards. We need to communicate with our board members, help them understand, and ask them to join us in the pursuit of our vision of student needs-centered, debt-free, educator-led higher education. The citizens serving on our institutional boards are in a position to make a key contribution towards our vision for public higher education. There are three very concrete, invaluable contributions we can ask of them: first, help us scrutinize the balance between educational and non-educational expenditures in our university budgets; second, join us in insisting that resources flow towards educational expenditures first. Finally, hold the line on tuition increases (these add to the excessive debt burden of students and families); instead, signal to our universities the need to first find savings in budget expenses that are not directly contributing to the classroom and research. Postscript: It is important for the independent boards of our public universities to continue to be constituted as bodies of citizen-trustees. There is currently a bill in Salem, which AAUP-OR opposes, that aims to sever our boards from accountability to our elected officials, the Governor and Legislature. Our AAUP-Oregon annual conference is only six weeks away! We are excited to gather faculty together in Eugene on Saturday April 25th to set our direction and mobilize ourselves for the challenges we face. Check out the conference information here. The agenda is being planned, lunch has been ordered, so put the date on your calendar right now and plan to meet with your colleagues from around the state as we build a united faculty voice, in solidarity with our partners. On February 26th, United Academics put our economics package on the bargaining table. It amounts to an average 7% increase in 2015 and 6% in 2016. It is a blend of salary floors for non-tenure-track faculty, across-the-board increases, and raises for merit and equity, both internal and external for NTTF and TTF. Together, these increases would bring UO salaries close to the average among institutions that belong to the Association of American Universities (AAU), the leading association of research universities, by 2016. For a more detailed explanation, please see: http://www.uauoregon.org/2015/03/united-academics-salary-proposal-an-overview/ on our website. We noted at the table that the floor for NTTF is still lower than that of our colleagues at Portland State. On March 12th, we will hear the administration counter proposal on economics and undoubtedly hear how they have very little money for faculty salaries. On March 3, UA held its winter general membership meeting. The turnout was great considering this is week 9 of the term. Our agenda was sprinkled with raffle drawings in which the gifts included the AAUP Anniversary Redbook. Over food and drinks we heard reports from our officers and committee chairs. Elections are on the horizon and nomination forms were handed out. We also celebrated the one-year anniversary of our formal union structure and the 100th anniversary of the AAUP with a large, beautiful chocolate cake. The meeting featured a dialog with our members about their concerns. One of the hot topics is the current consternation within the College of Arts and Sciences regarding the process for developing workload policies for NTTF. Committees in departments throughout CAS worked many hours to develop policies that reflected their current practices, made changes in regard to the many variables that go into teaching a course. The process is described in our collective bargaining agreement so that faculty can develop policies framed by discipline-specific practices. Unfortunately, the deans of the Humanities and Social Sciences red-lined faculty efforts in most departments and inserted a one-size fits all standard of 9 courses per academic year, plus 10% service for all NTTF. The administration is using the processes proposed by the CBA to assert a standardization of workload across the college regardless of faculty input. At our general membership meeting, we described plans for pushing back. 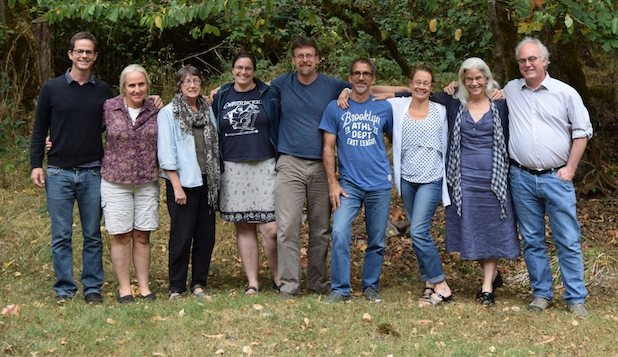 Earlier in the week we had an emergency meeting of Representatives to the UA Assembly and Stewards to understand if this standardization is occurring across the Natural Sciences and other professional schools. The sciences have been told their NTFF workload will be 6 courses. The professional schools do not appear to have had the same experience – yet. We left with a plan for contacting members to invite deans to department meetings for hard questions and pushing back and to write to the provost with their concerns. We have several levels of strategies for addressing this crisis and they will be evolving over the next few weeks. Another quarter is nearing an end and everyone is super busy. Our Collective Bargaining Team will be meeting with PSU’s administrative team on Tuesday, March 10 to explore interest based bargaining (IBB). We will be assisted by Janet Gillman, State Conciliator from the Oregon Employment Relations Board. This method of bargaining is based in part on a book by Fisher and Ury entitled, Getting to Yes. IBB is based on four elements (p. 4 of the book just mentioned): 1) separate the people from the problem; 2) focus on interests, not positions; 3) invent multiple options; and 4) results based on objective standards. After last year’s difficult contract battle, this method seems to have many challenges for our union. We will see what our meeting brings and will keep you posted. Good luck with the end of the term and have a pleasant spring break! For National Adjunct Walk-out Day, the advocacy chapter of the AAUP at Oregon State University organized a well attended teach-in titled “What Does a Socially Just University Look Like?” along with other organizations we invited as part of the coalition participating in the teach-in. Coalition partners included SEIU, Coalition of Graduate Employees, MEChA, and ASAP (Allied Students for Another Politics), and the Anarres Project for Alternative Futures — representation from students and staff as well as faculty. We had reserved a room that holds 50 people for the event, but well over 100 attended (and ate through ten boxes of free pizza donated by the coalition). Joseph Orosco, our chapter’s president, gave an opening talk on the history of the university in the United States in the context of social justice. After the talk, our Vice President Kathleen Stanley and one of her students distributed a timeline they’d compiled of social justice related events at OSU. On the back of the timeline Kathleen had outlined the social justice goals of the OSU administration’s strategic plan. A panel consisting of student, staff, and faculty representatives from the coalition partners then discussed social justice issues and concerns from a range of perspectives. The teach-in concluded with a 45 minute discussion about “walking the walk” – how to move OSU closer to its professed social justice goals–and how we ourselves might define social justice at OSU, as opposed to having it defined for us. Our advocacy chapter recently invited all the teach-in coalition partners to a debriefing session later this week in which we will also propose next steps. One of the constant refrains after the teach-in was the wish that somehow the coalition could continue. So we will be proposing that the coalition – and anyone else interested in joining this effort – formally constitute ourselves as the Alliance for a Socially Just University. Besides monitoring the progress of the university in terms of social justice, the alliance could also serve as a forum for learning about and actively participating in the on-going struggles of coalition partners, as well as organizing public events that continue to move OSU toward “walking the walk” as well as talking the talk of social justice. 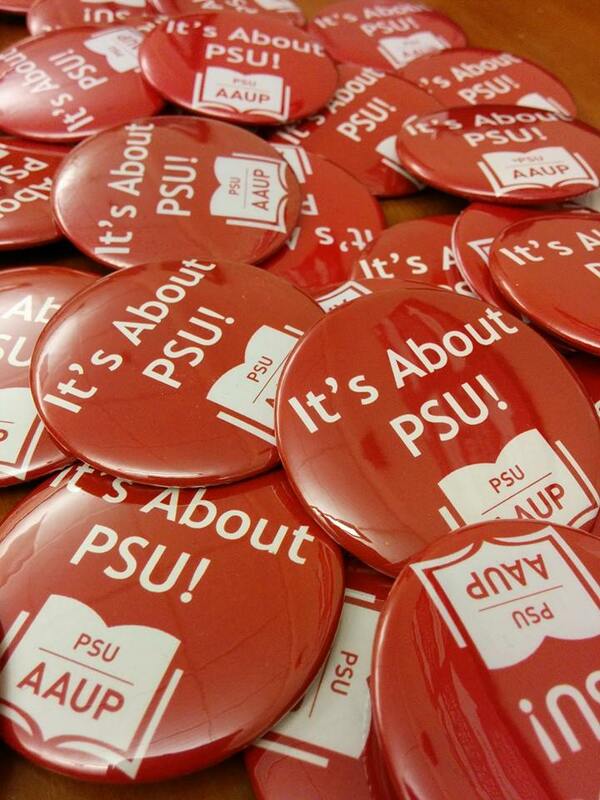 Share the post "AAUP Oregon News March 2015"